Oddly written, there's a very cool website called Prehistoric Animals that simply must be viewed, at least for the pics. Enjoy! National Geographic's YouTube channel has a new video called, "Birds vs. Crocodiles." Stay toothy, my friends! It's a shame that the 14th century castle Krasna Horka will liklely not recover completely if ever from the devastating fire in early March 2012 but that's no reason not to become familiar with its rich history and port it to your tabletop roleplaying game setting. Read more here and here! Every tabletop campaign setting needs games and entertainments and none are more easily adapted from our own world than The Glasgow Highland Games. Check them out and port them over for your players. Enjoy! Thanks to the Wayback Machine, a good site to bookmark in any case, a nifty little Treasure Hoard Generator is still available. Check it out here! 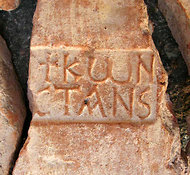 Back in January, the New York Times posted an article on their website about an ancient discovery revealed after the 2007 drought around Istanbul. I dug it up for you, so to speak. Enjoy! A very cool list on io9.com shows "10 Amazing Real-World Locations for Fantasy Worldbuilding" that you have to check out! If you're looking for a little inspiration in setting creation for a post-apocalyptic campaign, check out this short film called Ruin from Wes Ball. Pretty cool! If you're looking to make some killer handouts for your campaign setting with fire, check out this tripwiremagazine.com article called "40 Beautiful Fire Photo Manipulation Showcase" and you'll have a fire in your belly! YouTube's lonetreegames channel has a cool video on how to draw roof tiles in Adobe Illustrator. Add some unique character to your campaign setting maps by watching, learning, and doing the details yourself. Enjoy! Scientists are now thinking that the eye of the Giant Squid is big for a particular reason. If you're adding some undersea encounters to your campaign, find out more here! I stumbled across a very cool sight, a mechanical Elephant, over on amazedio.com, and it just struck me as a very cool idea for a scenario in a tabletop roleplaying game setting. 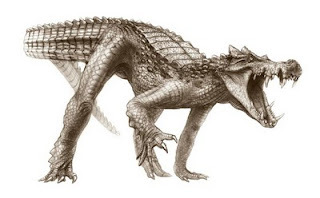 Just imagine a whole unit of these "creatures" in some warlord's army. Check it out here! An article at Cracked.com from about a year week ago highlighted "5 People From History Who Were Absurdly Hard to Kill" (ed.) and it's worth a read for, perhaps, adding their traits to some creatures people in your tabletop roleplaying setting. Enjoy! On this most crazy of USA holidays, Saint Patrick's Day, it might be nice to take some time to read up on the venerable Saint Patrick and fashion a few traditional luminaries for your own tabletop roleplaying setting on which to base holidays. Naturally, the man and the holiday need hold little in common, as we know from our real world history. Read more here! An article at Cracked.com from about a year ago highlighted "5 Animals That Are Terrifyingly Hard to Kill" and it's worth a read for, perhaps, adding their traits to some creatures in your tabletop roleplaying setting. Enjoy! 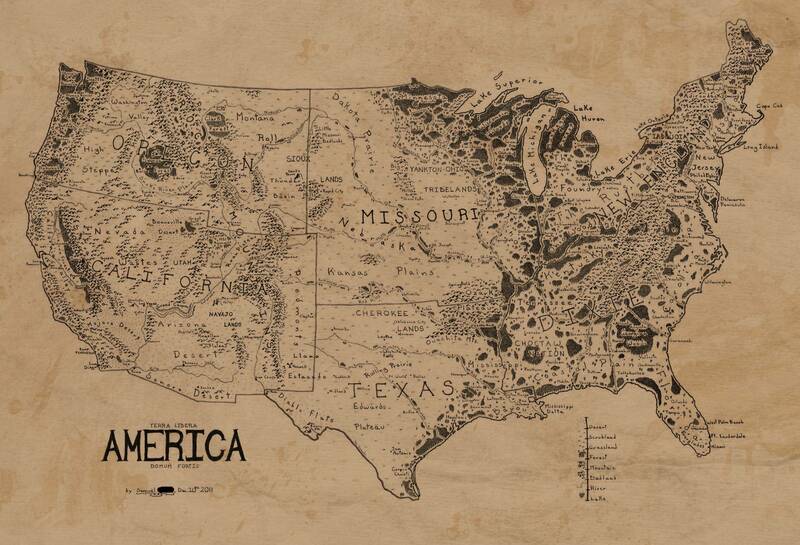 Over on io9.com is a cool article on how someone remapped the USA in the style of Middle Earth maps. Something to consider as you plan your next tabletop roleplaying game setting. Read more here! A brief word of warning about the cracked.com article entitled "The 7 Most Terrifyingly Huge Things in the History of Nature," it's humorously candid about one of its entries in a way that might make some feel a bit put off. However, there are some very cool details about some of these things that many tabletop roleplaying campaign creators will just love having in their games. So, with that caution, have a laugh and enjoy being made to feel squeamish if you dare to read more here! It's not all that uncommon for a town or village to be built at the bottom of a valley between mountains. Often the reason for this is a water source that flows there. One such place in Italy, according to a recent io9.com article, found themselves without sunlight for several months out of the year and finally decided to do something about it, building a giant mirror to capture sunlight and redirect it into the town. Think about what some enterprising folk in your tabletop roleplaying setting might do along these lines as you check out the trailer for a movie made on this situation. Enjoy! There's a new article over on DigitalJournal.com called "Oldest Pre-Cambrian organism with skeleton found in Australia" that discusses a 550 million year old skeletal fossil that sets a new beginning point for such organisms. While you might not want to detail your tabletop roleplaying setting all the way back to that time, it does give some food for thought as to just how old a setting can be. Plus, if you are including time travel, the implications of what might happen if things go wrong are rather severe. Read more here! 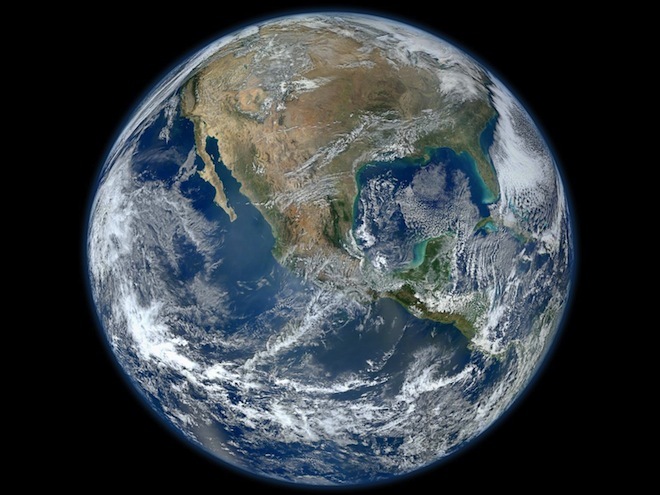 If you are creating a tabletop roleplaying setting and want to get some idea of the distances between our own planets beyond just the numbers, check out this web page with our sun and planets in relative size and proximity to one another. Be ready to scroll to the right for quite a while before reaching the end of the page. Enjoy! Over on io9.com, they've compiled a pictorial called "Photo manipulations offer realistic visions of life after the apocalypse" and some of the images are particularly inspiring. Enjoy! Well, a new World's Biggest Cave has been identified and somewhat explored. 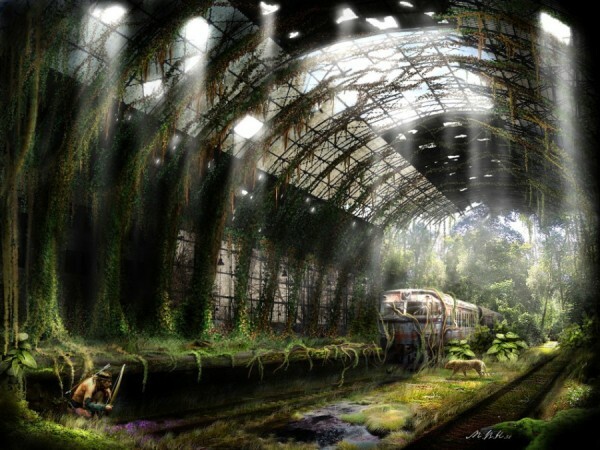 Check out the pictures on the National Geographic Website and see if this location inspires some underground adventures for your tabletop roleplaying campaign. 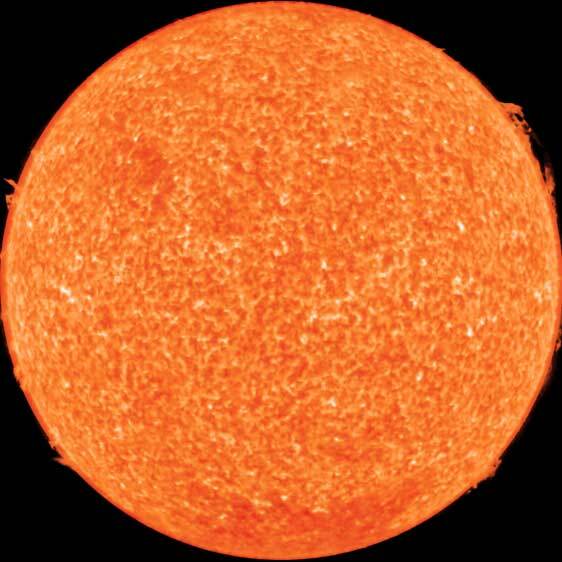 One of the phenomena that tabletop roleplaying games sometimes need to address are solar flares. There's a great article on Forbes.com from Alex Knapp entitled "NASA Reports That Solar Flares Could Disrupt Power, Communications" that deals with the solar flares from yesterday and today for our real world selves. NASA also has a very cool video showing how they manifest. Enjoy and stay safe! 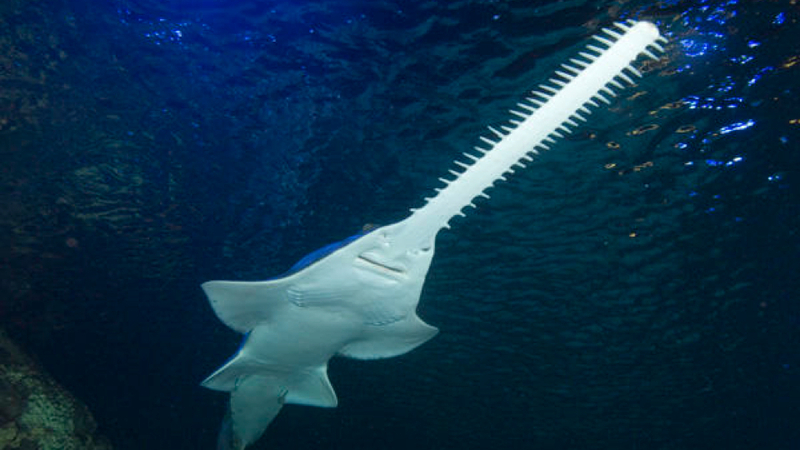 io9.com has a cool article and an amazing video of a sawfish in action. But to call them "striking creatures" is a bit on the nose. Enjoy! 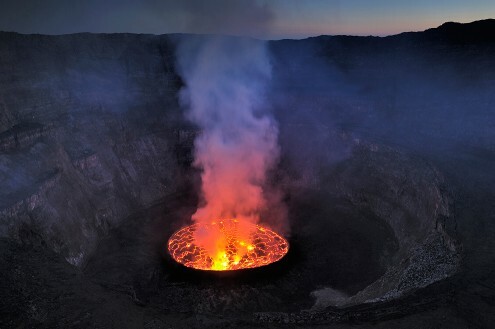 Today, I share a simple image from the National Geographic website, as inspiration to those who build settings for their tabletop roleplaying games. Use this for any genre in any time period: a lonely pool with lifesaving water, a hiding place for an item of incredible power, an entrance to some underground lair, or anything that strikes your fancy. Have at it! 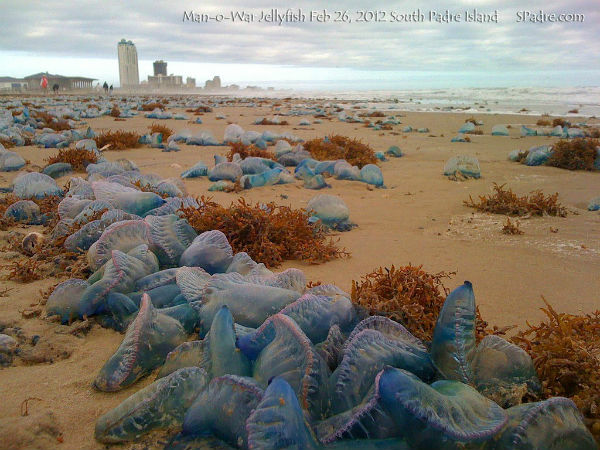 Accuweather.com has an article called "Thousands of Man-of-War Wash up on South Padre Island" detailing a recent phenomenon that is quite spectacular and dangerous. Not all of the beasties are dead, so watch your step. There are some cool pictures over on thewatchers.adorraeli.com as well. One of the cool things being done to promote the new movie Prometheus has been to create a viral video that mimicks the TED Talks series, set in the future in the time of the movie setting. This is also a trick one can do to add some real world relationships between a tabletop roleplaying game setting and out own world. Take a look at how they do it. Every tabletop roleplaying game needs to have depth for the sake of immersion. One way to add that to the game is to include a game within the game, getting the players to play the game as their characters. This is often done in Medieval Fantasy roleplaying games through the use of tourneys but it can be ven more simple than that. Here's a basic game that gets used on a popular television show with some changes (popularized through an Internet meme) but incorporated into the sho. No only does this tie the characters of the show to the real world, helping the audience identify with them more readily, but it accentuates their character traits. Enjoy! There's a fascinating story on NPR.org of a Giant Walking Stick that was thought to be extinct that is making a comeback thanks to some industrious scientists. What is just as fascinating to me is where the insects were rediscovered and what someone might do with such an environment for a tabletop roleplaying scenario. Read more here! A recent MSNBC article called "Scientists say giant fleas feasted on dinosaur blood" details how the tiny flea wasn't always so tiny. Read more and add these thirsty bloodsuckers to your tabletop roleplaying games.